« North Yorkshire Police and RSPB investigate the disappearance of another hen harrier, this time lost Nr Hutton-le-Hole. Four more satellite-tagged hen harriers ‘disappear’ on Scottish grouse moors. RSPB Scotland is appealing for information following the suspicious disappearance of four satellite tagged hen harriers over the last 10 weeks. 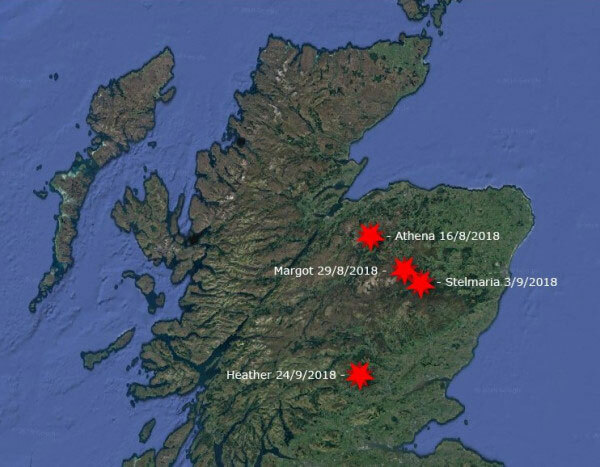 All of the birds were tagged at various nest sites, three this summer and one in 2017, in Scotland and Northern England as part of the RSPB’s EU-funded Hen Harrier LIFE project. The last known locations of all four birds were over land managed for grouse shooting. Satellite tagging technology is increasingly being used to follow the movements of birds of prey, allowing scientists to identify areas important for their feeding, roosting and nesting. The tags are fitted by licensed, trained fieldworkers and are designed to transmit regularly, even after a bird has died. In all four cases, the tags had been functioning without any issues before they suddenly and unexpectedly stopped transmitting, suggesting criminal interference has taken place. The first bird to disappear, Athena, was one of a small number of chicks to fledge from a nest in Northumberland. She travelled north into Scotland, with her last known position on a grouse moor a few miles north west of Grantown on Spey in Inverness-shire, on 16thAugust. Two of the birds were tagged on the National Trust for Scotland’s Mar Lodge Estate in Aberdeenshire this summer. Margot disappeared on 29th August, with her last known position on a grouse moor on the Aberdeenshire/Moray border, a few miles south west of the Lecht ski centre. Stelmaria was last recorded on grouse moor a few miles north west of Ballater, Aberdeenshire on 3rd September. 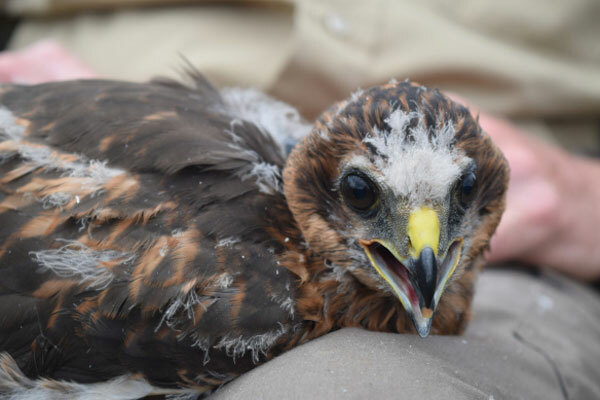 Stelmaria’s mother was DeeCee, a hen harrier tagged by the project in Perthshire in 2016. The fourth missing bird, Heather, was a year older than the others. She was tagged at a nest in Perthshire in 2017, and last recorded on a grouse moor to the north of Glenalmond on 24th September. Dr. Cathleen Thomas, Project Manager for the RSPB’s Hen Harrier LIFE project said: “To have more hen harriers disappear, including three of this year’s youngsters, is devastating for all of us involved in monitoring these hen harrier chicks. These birds have vanished in similar suspicious circumstances to four other birds tagged by the project that disappeared this summer with last recorded locations on or near grouse moors in England and Wales. These eight suspicious disappearances in the past 10 weeks are a further blow for the conservation of a species whose UK population has declined by 24% since 2004. Each year a number of the chicks tagged by the project are lost through natural predation or starvation. So far in 2018 the remains of 12 young hen harriers have been recovered. Their tags continued to transmit after they died allowing their remains to be located and for post mortems to take place. These established that they all died of natural causes. Ian Thomson, Head of Investigations for RSPB Scotland said: “Given the tiny number of hen harrier chicks tagged each year, the regularity with which they disappear, again indicates that we are only ever aware of a tiny proportion of the true number of protected raptors that are being illegally killed.